As we enter the second quarter of 2019, more Americans have come out in red splotches than in any other year since measles was eradicated - with the exception of 2014, when a massive outbreak among unvaccinated Amish communities in OH resulted in a huge annual total of 667. And still the number crosses the sum total of previous year. The highest post-2000 number was in 2014, with 667 confirmed cases. 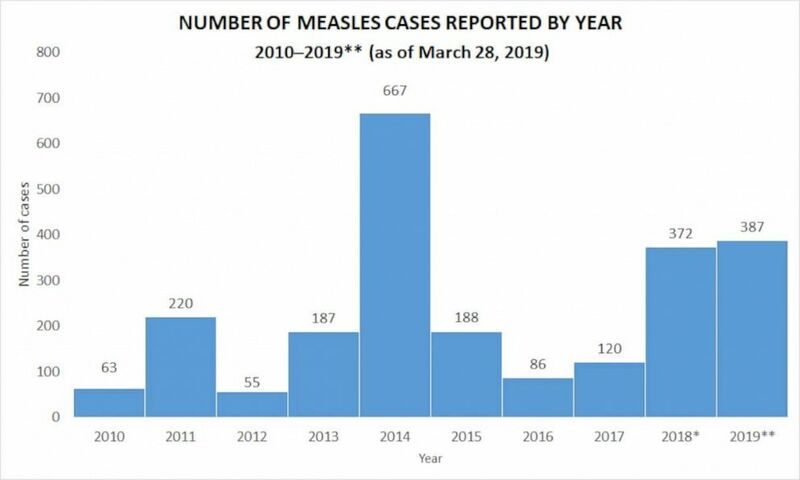 According to the report there is increased number of measles cases in 2019. Last year, the CDC reported 372 total cases and 17 outbreaks, with three areas - New York, New York City, and New Jersey - contributing most of the cases. Measles was in fact eliminated in the United States in 2000, but outbreaks still occur when infected people bring the disease with them or unvaccinated U.S. citizens get infected while overseas. Since 1963, when the vaccine was introduced, cases and deaths from measles in the United States and other developed countries have plummeted. "It can spread to others through coughing and sneezing", the CDC website states. "Measles is so contagious that if one person has it, up to 90% of the people close to that person who are not immune will also become infected", the CDC has said. According to the Associated Press, the Maine CDC says it was notified by the Massachusetts Department of Public Health of a confirmed case of the disease in a Massachusetts resident who visited two businesses in Maine on March 27. "Thanks to the high proportion of people in Northern Ireland making the positive decision to get the MMR vaccine over the past decades, cases of measles, mumps and rubella illnesses here have fallen significantly". 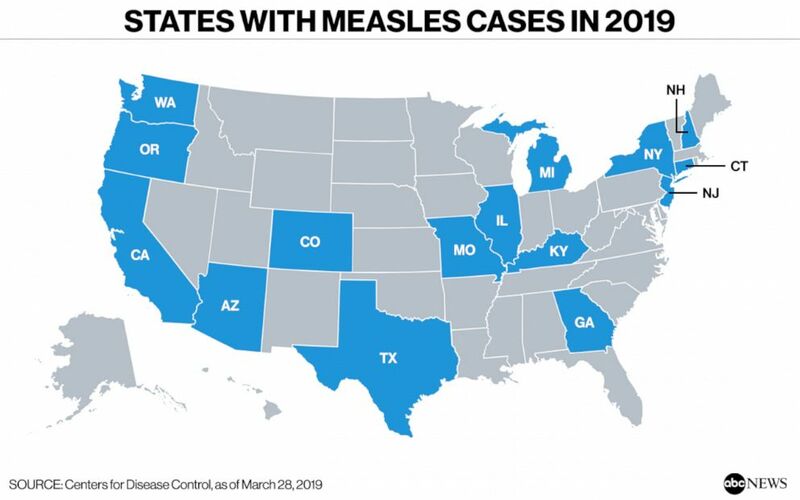 And in 2014, the US experienced 23 measles outbreaks, including one of 383 cases that occurred primarily among unvaccinated Amish communities in Ohio. "The biggest are two outbreaks in New York", Dr. Manisha Patel of the Centers for Disease Control and Prevention, which tracks reported cases, told Newsweek. 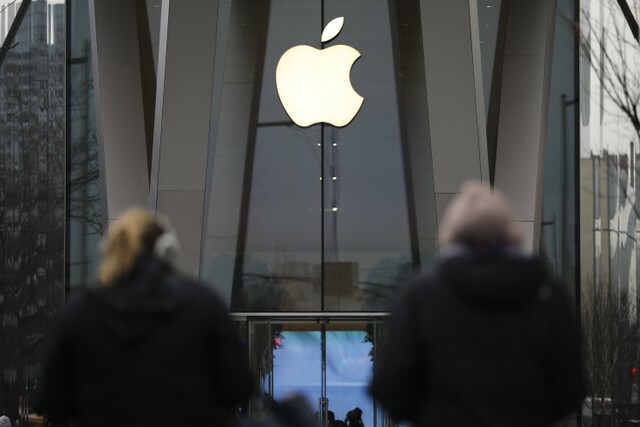 It is the second greatest number of cases reported in the US since measles was eliminated in 2000, according to the federal Centers for Disease Control and Prevention.